This month we’re travelling to a galaxy far, far away to apply a few licks of paint to the Galactic Empire’s finest, Star Wars: Legion. The latest tabletop venture into the Star Wars universe puts you in command of the forces of the Galactic Empire or the Rebel Alliance using miniatures of some of the series’ most iconic heroes, villains and troops. It’s those miniatures, and how to paint them, that we’ll be taking a look at. The sculpts are gorgeous, with an attention to detail that makes them feel like they have been pulled straight out of the movies. Everything is crisp and clear, which really helps with the painting process, but don’t let that fool you. There are still a large amount of mould lines and, as they tend to follow the lines of the model, some can be tricky to spot. Poses are another issue. The majority of the models are snap-fit, providing one pose for each figure, which leads to a repetitive look to the squads. The AT-ST, however, has a wonderful range of movement. Each leg is made up of four pieces, providing a whole host of options for posing. I must have had it in at least a dozen different poses before I settled on the one I wanted. I also want to touch on the scale, with the models being made at a 35mm level. This is larger than what you may be used to in wargaming, but I think it’s a great thing. The proportions of the models feel perfect and there’s no denying that they make more of a statement on the tabletop, especially in the case of the AT-ST, which towers over everything else. It might make them trickier to transport, but I think it’s a fair trade-off for the striking look. 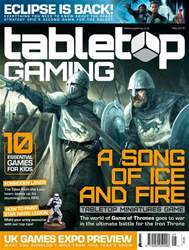 It’s time to play the game of thrones in the May issue of Tabletop Gaming magazine, as we venture into Westeros with A Song of Ice and Fire: Tabletop Miniatures Game. Get an exclusive look at the sprawling battle game and hear from its co-creator about tackling George R.R. Martin's epic series of fantasy novels and making it a wargame like no other in our massive lead interview. Moving from fantasy to sci-fi, we blast off with a first look at Eclipse: Second Dawn for the Galaxy, the much-anticipated sequel to the acclaimed 2011 space strategy hit. Creator Touko Tahkokallio tells us about making the massive game even bigger and reveals what’s in store for both old fans and newcomers alike. Whether you’re headed to Birmingham’s NEC this June for the 2018 UK Games Expo or not, you won’t want to miss our round-up of must-see games at the show – including a surprise appearance from Noggin the Nog! After reinventing ‘80s sci-fi, the creators of RPG phenomenon Tales from the Loop return with their nostalgic take on classic fantasy roleplaying. We venture into Forbidden Lands to find out how the game combines the best of the past with modern sensibilities for a truly stunning experience. There’s plenty more to enjoy, including a look at the making of rom-com board game Fog of Love, a preview of competitive legacy game The Rise of Queensdale and a chat with quirky British party game studio Big Potato. 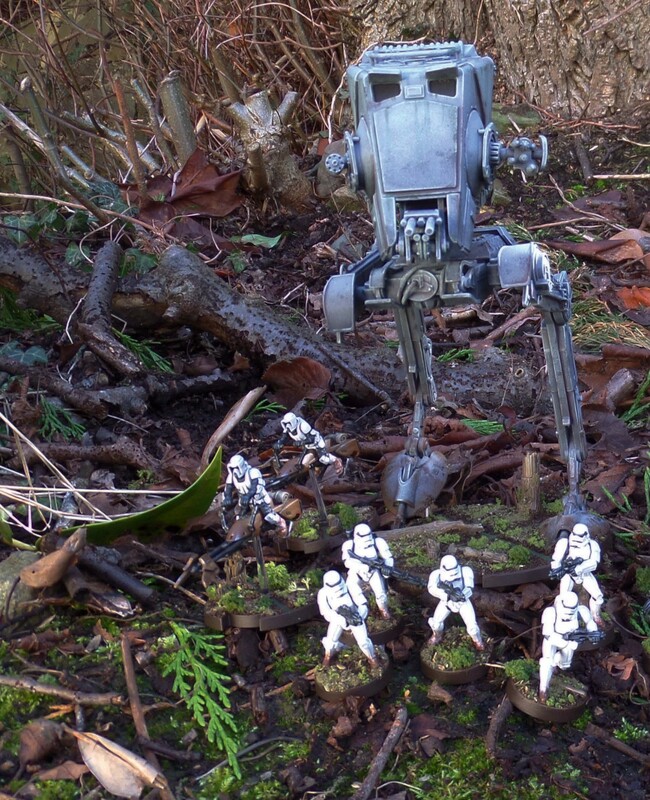 We also have the first part of our Star Wars: Legion painting guide, offering essential tips on bringing your army of stormtroopers, speeder bikes and AT-STs to life. All this, plus our thoughts on the biggest games you should be adding to your collection, with reviews of The City of Kings, Munchkin Collectible Card Game, Empires of the Void II, Star Wars: Dawn of Rebellion, You’ve Got Crabs, Dark Souls: The Card Game, Dungeon Alliance, Sonar and more. It really is the best way to get your summer started early!